Create org chart automatically with a few steps, no drawing required. Apply ready-made beautiful themes to make your org chart professional and attractive. Choose a template with same purpose of yours, and start right away. Quickly upload employee data with bulk data resource. Upload employee data with a CSV, XLSX, or TXT file to generate a chart automatically. Define or name a new data field freely. Be able to create org chart upon your personal requirements. 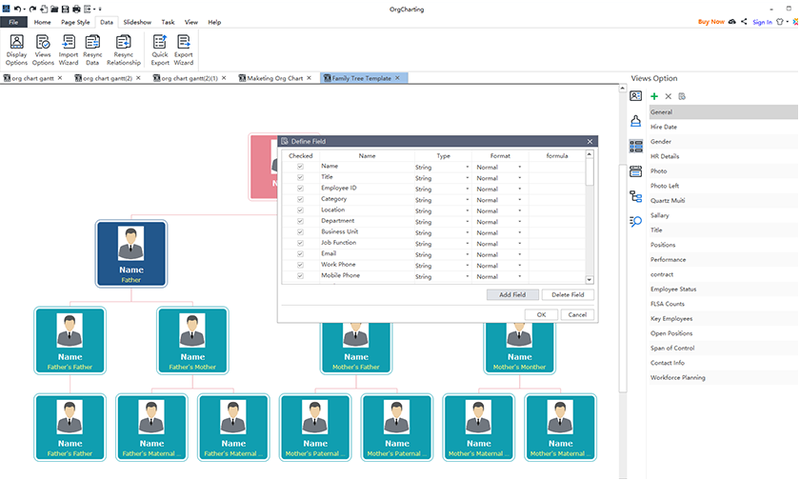 Resynchronize your org chart with updated data source in one click. Get instant access to relevant information with powerful searching and filtering tool. 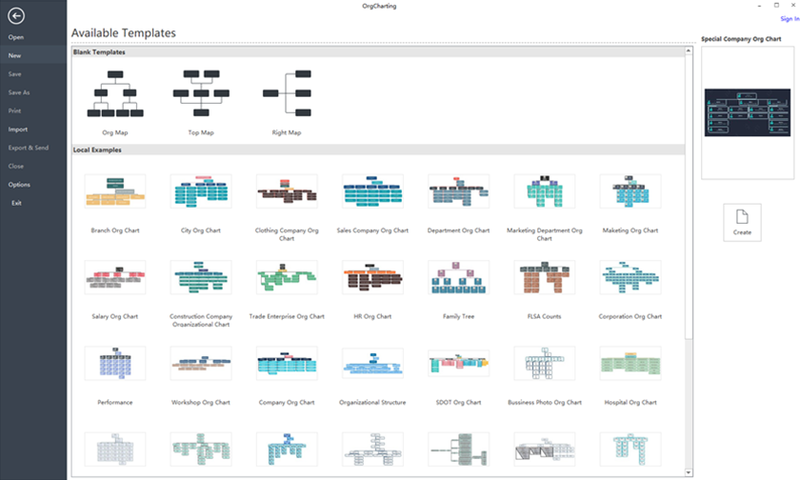 Visualize your company data for better strategic planning and decision making. Improve HR work efficiency in employee data management and workforce planning. Choose a "View" to display relevant data based on your chart objective. The Gantt chart view enables managers to plan project resources and assign tasks to employees easily. Generate presentation slides automatically with one button click. Export the entire chart or specific branches to PDF, Word and other formats. Share your org chart to anyone with an Html web link. Team members work together on the same project. Start with massive org chart templates in different styles and purposes. Quickly edit upon an existing template to save your time. Org chart can be both professional and beautiful. Good-looking organizational chart makes your work delightful. 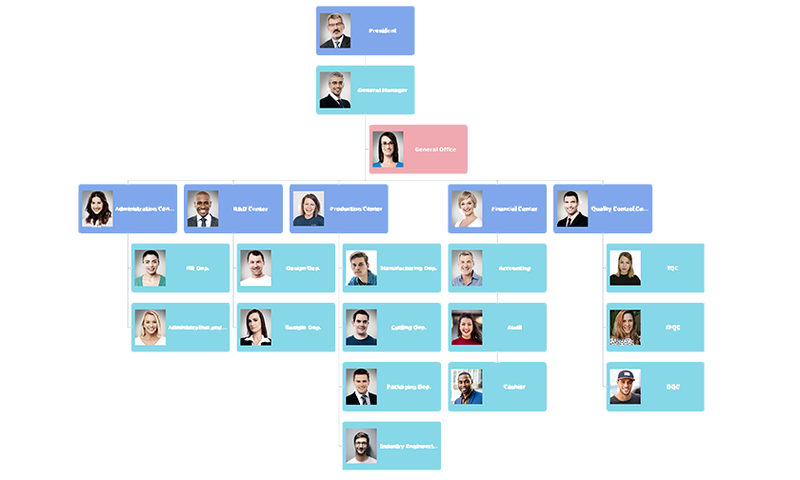 The org chart can be used as an interactive employee database, from which you can easily find, manage and update employee information. You can define new data fields and create custom views to present the chart from different perspectives. Choose from a large variety of themes to fit different scenario. Select your favorite color schemes and font styles. 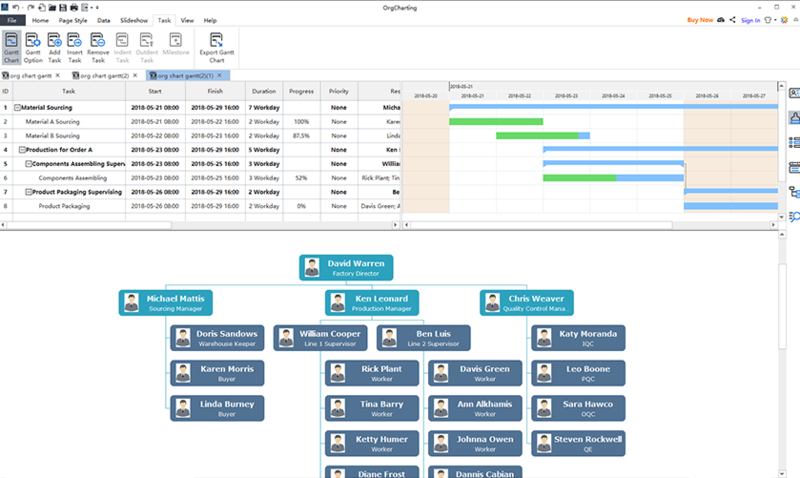 Use organizational chart as a management tool to manage employee data and schedule work. 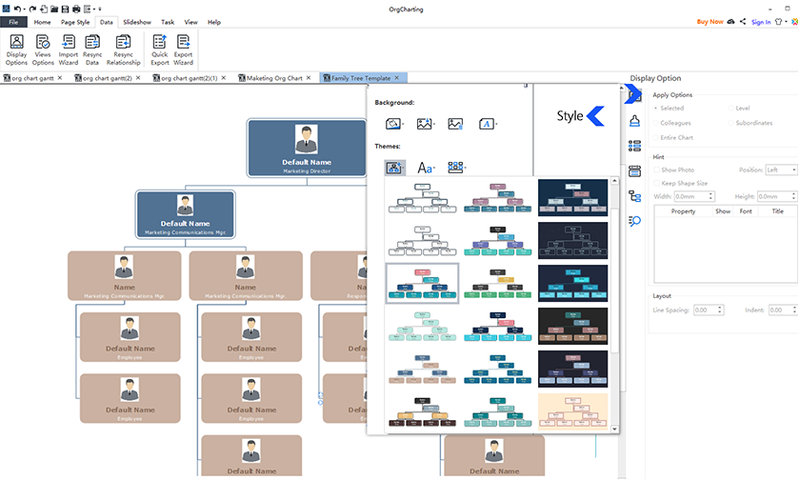 Download OrgCharting to create org charts and manage company data.